Anxious fans scrambled for cover from the rain under the umbrellas set up in front of McNear's Mystic Theater in Petaluma, CA as they checked for their names at will call and proved their legal drinking age. A rare 16+ allowance at the majestic theater created a little extra havoc in the wet weather as wristbands rather than the usual stamps had to be applied and drinks had to be monitored closely. As I squeezed my way past the merch booth and down the aisle to the front, local MC RadioActive was already on stage with Sonoma County's 808 Band. RadioActive engaged the crowd with his legit lyrical skills. His original rap-style vocals work well over the funk & reggae grooves of the band behind him. Gabriel "G-Funk" McDowell does a great job of switching up rhythms and fusing them seamlessly together, bringing several styles together in one great performance. A little soloing toward the end of their set showed off the skills of keyboardist Daniel Savio and bassist Toho Saunders. Closing their set with Biz Markie's "Just a Friend," RadioActive and the 808 Band had clearly warmed up the crowd, the fans singing along loudly with "you, you got what I need, and you say he's just a friend..."
With the crowd pumped and ready for more music, Pacific Dub took the stage. The Huntington Beach youngsters just finished up the Heatseekers tour with Iration and headed out again immediately on this tour with The Expendables. 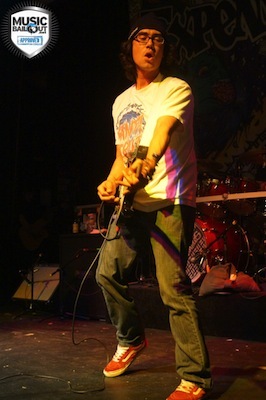 Having just played The Phoenix two weeks prior, their name was fresh in the memories of Sonoma County reggae-rock fans. When frontman, Colton Place, asked the crowd if they were familiar with Pacic Dub, it was clear that they had a fair amount of fans in the building. When they played "Dreaming" off of their "First Drop" EP, quite a few people were singing along. They are definitely gaining popularity in the scene, paricularly with the younger fans. They just announced their addition to the Vans Warped Tour this year, which is sure to help take them to the next level. I've said it before, and I'll say it again: Keep a close eye on Pacific Dub. 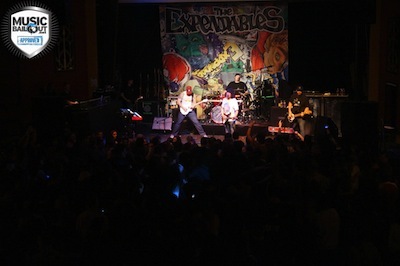 As The Expendables took the stage, the Mystic Theater was at capacity. The usually sparse balcony had few seats open, people leaning over the railing for he overhead view. 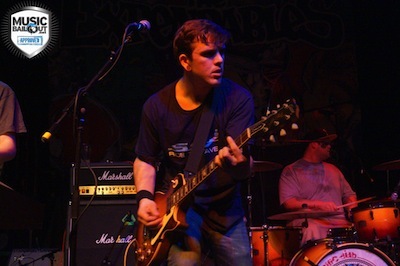 The Expendables frontman, Geoff Weers, with his popular trademark mustache shaven nearly clean, strutted onto the stage as he was assaulted by loud cheers and whistles. Kicking off the set with one of my favorite tracks, "Down, Down, Down," they quickly brought me to expect a good show, packed with their best material. They didn't disappoint. Geoff was animated and into the performance, jumping and dancing as he played. Trading off between the guitar and keyboards, Raul Bianchi exhibited true musical talent. "Bowl for Two" had nearly everyone singing out loud and blazing up, keeping security busy confiscating smoke from fans' hands. Several songs had the venue staff in the middle of the pack, putting a stop to the mosh-pits that sprung up during the couple of punk-style songs they played. Several people were unfortunately escorted out. The night wasn't over, however. 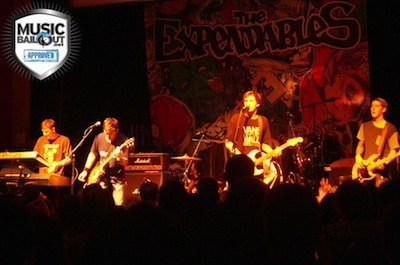 After a short departure from the stage, The Expendables appeased the wanting crowd and returned to perform their encore. The fans were happy - as was I - that they finally played "Sacrifice" - the song that would remain with me and echo in my ears throughout the night. All told, it was another Petaluma show that will remain in my growing list of favorites.